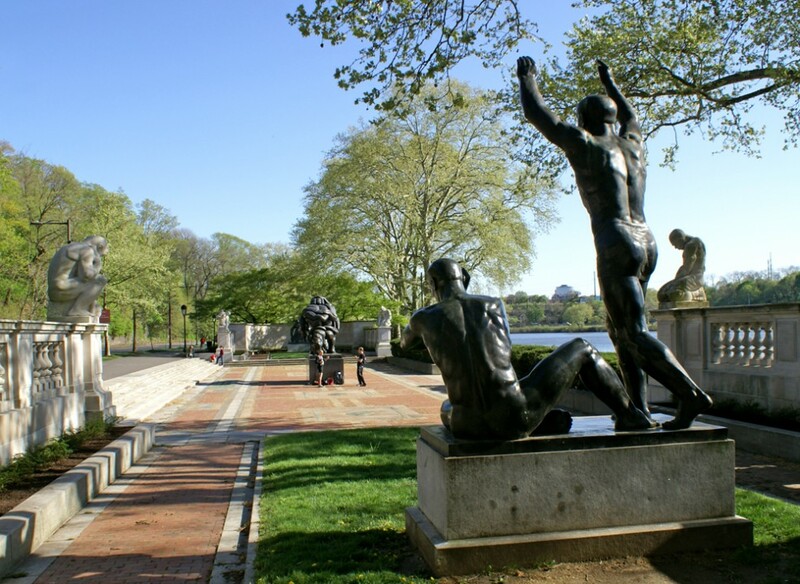 The Association for Public Art (formerly the Fairmount Park Art Association) established and maintains the Ellen Phillips Samuel Memorial. 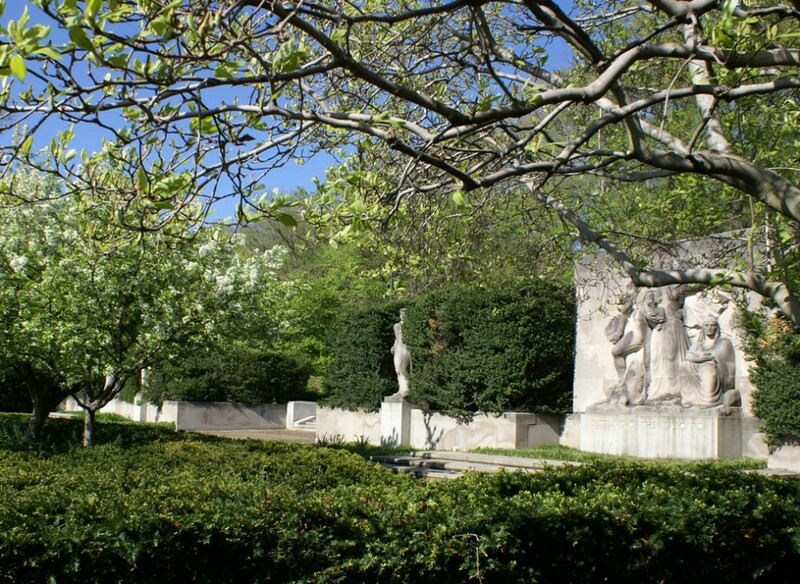 The Memorial includes three terraces and seventeen sculptures that were commissioned over a period of thirty years. 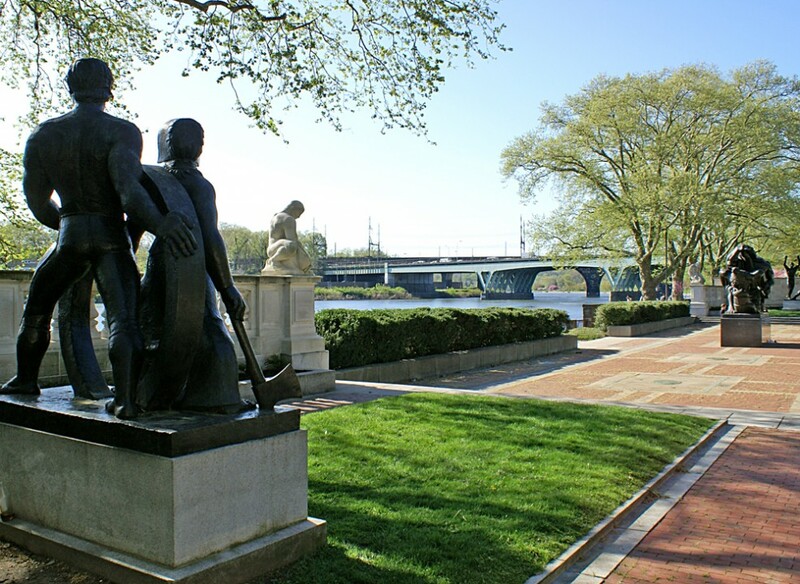 Ellen Phillips Samuel (1849-1913) was an active member of the Fairmount Park Art Association (although she could not serve on the all-male Board) and a philanthropic supporter of many cultural activities in Philadelphia. 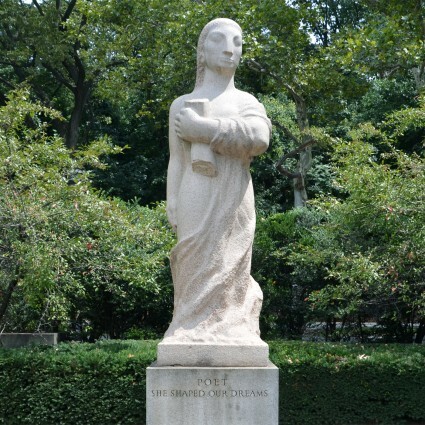 When she died in 1913, she left the bulk of her estate in trust to the Art Association, specifying that the income be used to create a series of sculptural monuments “emblematic of the history of America.” Her bequeath was said to be one of the largest bequests of its kind in the country at the time. 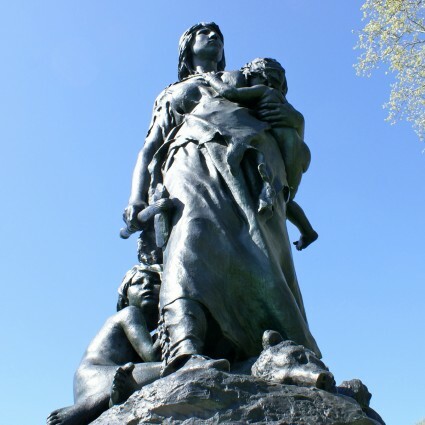 When these funds became available upon the death of her husband J. Bunford Samuel in 1929, the Art Association appointed a planning committee, which decided that the Samuel Memorial should express major ideas and spiritual forces as well as chronological developments in American history. To identify sculptors for the Samuel Memorial, the committee organized three international exhibitions at the Philadelphia Museum of Art. 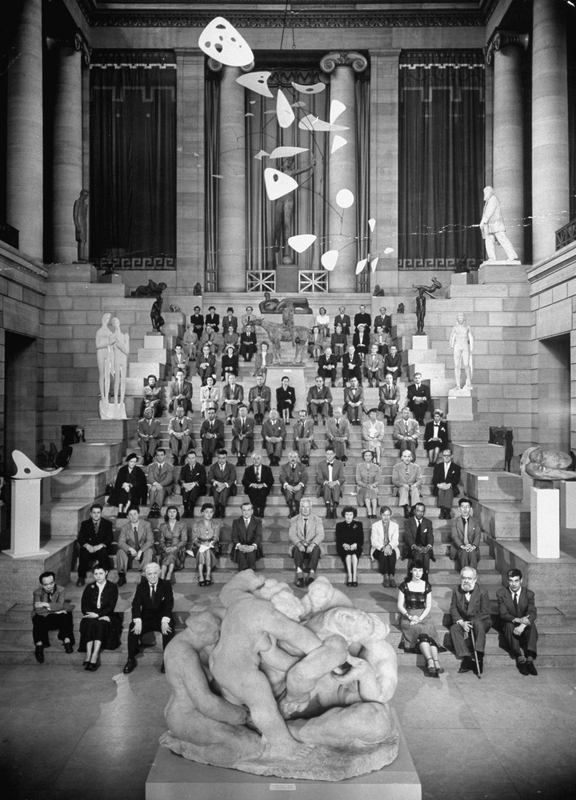 These Sculpture Internationals, in 1933, 1940, and 1949, brought together the works of hundreds of sculptors from the United States and abroad. 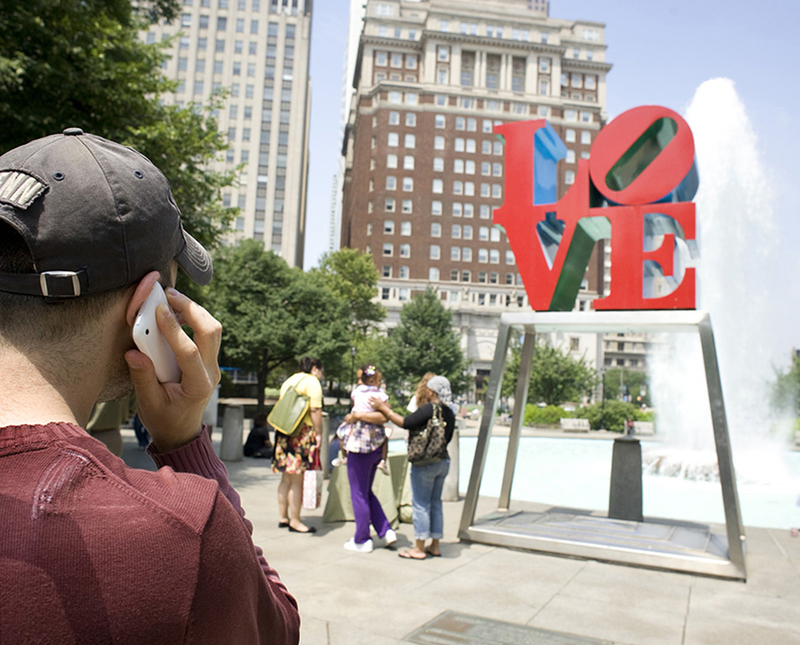 The exhibitions contributed not only to the Samuel Memorial but also to the general awareness of contemporary sculpture throughout the Philadelphia area and beyond. The committee completed its work with the dedication of the Samuel Memorial in 1961. Since then, two notable changes have been made. John J. Boyle’s Stone Age in America (1887) was relocated in 1985 from the Sweetbriar Mansion area to a location just south of the South Terrace, where it expands on the Memorial’s sculptural evocation of American history. And Jacques Lipchitz’s The Spirit of Enterprise (1950-1960) originally on the North Terrace, was moved to the Central Terrace in 1986 to increase its visibility. Construction of the Ellen Phillips Samuel Memorial began with the Central Terrace. 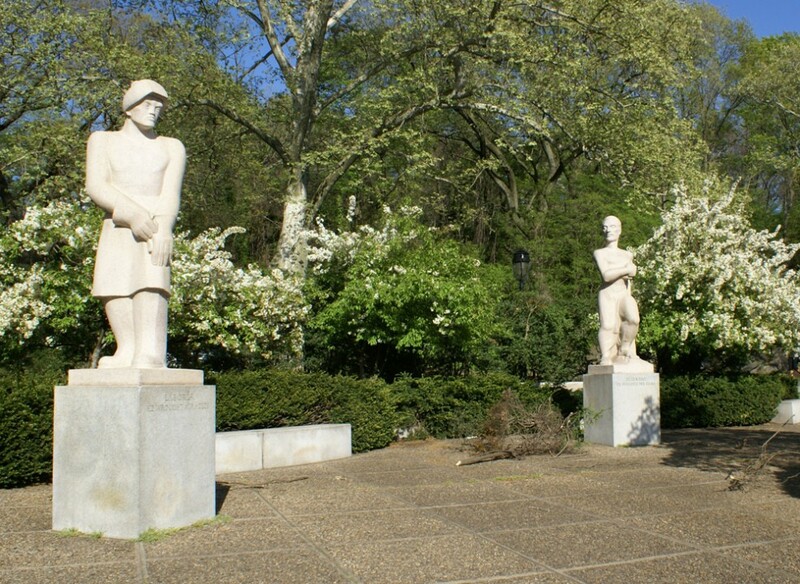 Six sculptors were commissioned to create two large bronze monuments and four complementary figures in limestone. These works express the twin themes of America’s westward expansion and the new nation’s welcome to immigrants from other lands. Penny Balkin Bach is Executive Director & Chief Curator of the Association for Public Art and the author of many books and articles about Philadelphia’s public art. 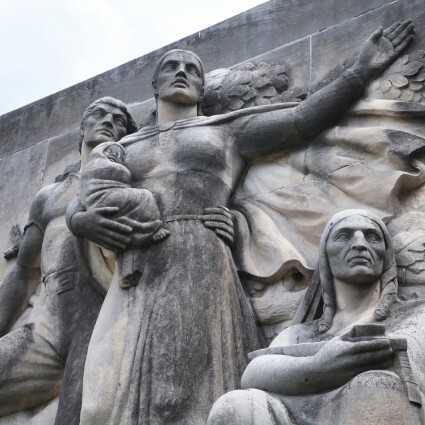 After the second Sculpture International in 1940, the committee selected four sculptors to express the governing themes of the new South Terrace—the settlement of the eastern coast and the emergence of the United States as an independent, democratic nation. The two principal groups were carved as reliefs, the other four sculptures as free-standing figures. Michael W. Zuckerman is Professor of History at the University of Pennsylvania and specializes in American Studies. He served on the Consultant Board for PBS “History Detectives” and is the Museum Without Walls Consulting Historian. The development of the North Terrace inaugurated the final stage of the Samuel Memorial. Here, the intention was to express not historical periods or movements but rather the spiritual, intellectual, and physical “inner energies” that shaped the nation. 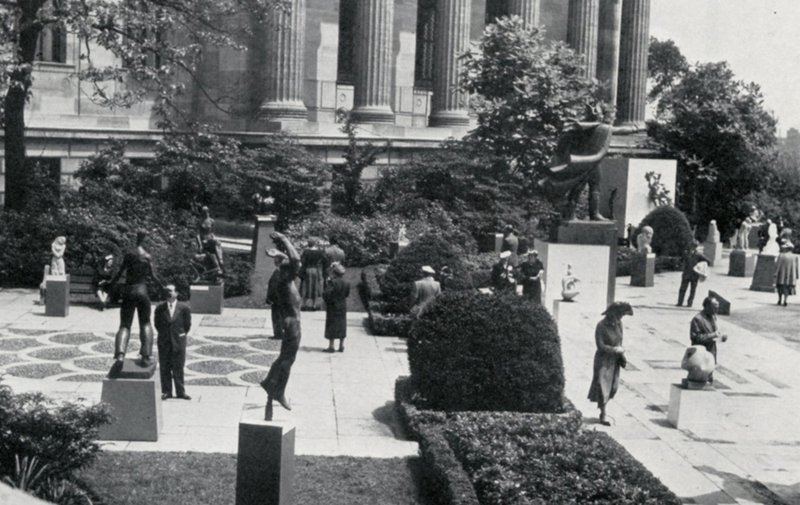 Two major bronze groups were to represent “social consciousness” and “constructive enterprise,” and the commissions were offered to Jacob Epstein and Jacques Lipchitz. As Epstein and Lipchitz progressed, it became apparent that their two massive monuments would not fit comfortably in the same terrace. Thus Epstein’s Social Consciousness never became part of the Samuel Memorial; rather, it was installed at the western entrance of the Art Museum. 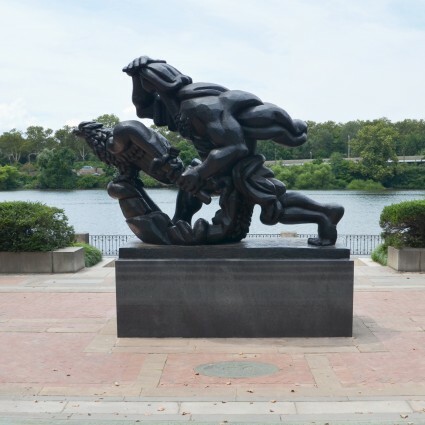 Lipchitz’s The Spirit of Enterprise served as the centerpiece of the North Terrace until in 1986 it was moved to the Central Terrace to increase its visibility from Kelly Drive. Central Terrace of the Ellen Phillips Samuel Memorial. Photo Caitlin Martin © 2010 for the Association for Public Art. North Terrace of the Ellen Phillips Samuel Memorial. Photo Caitlin Martin © 2010 for the Association for Public Art. South Terrace of the Ellen Phillips Samuel Memorial. Photo Caitlin Martin © 2010 for the Association for Public Art. Central Terrace of the Ellen Phillip Samuel Memorial. Photo Caitlin Martin © 2010 for the Association for Public Art.